I LOVE the search feature. At the top of the page, there's a search bar and you can search all blogs or a particular category. So when I *know* I saw a great recipe for peanut brittle sometime before Christmas- I just search for "brittle" in my "Foodies" folder and voila! There's the post. I am constantly starring blog posts for later use! And if you have an iPhone I like the app Reeder. It's better than just using Safari or the Google link. 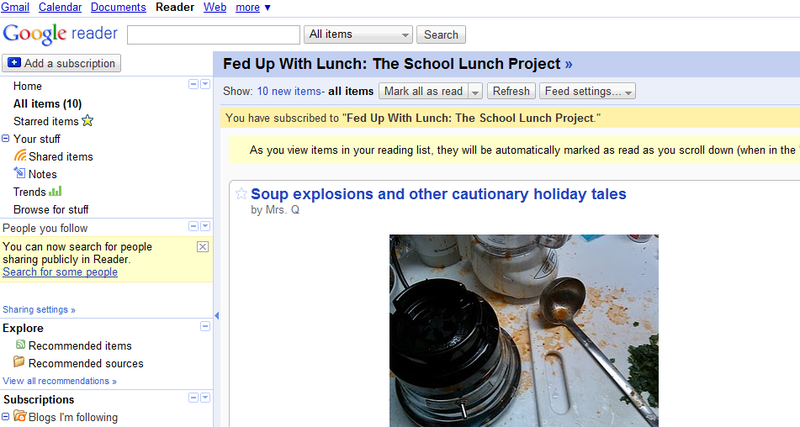 Thanks for mentioning Google Reader, it's a great time saver. I also wanted to thank you for also publishing your "full feed" so I don't have to click through to the website. Also, for some reason this post is not looking correct in Google Chrome. I have no idea why, but I did want to mention it to you in case you changed a setting lately. If you have a smart phone, I would highly recommend the google reader app. I recently got a droid, and the reader app must be one of my favorites. On another note, google reader also allows you to follow the profiles of your friends, and viewing their shared content is a great way to find new stuff! But you still have to click the blog entry link to read the comments. The blog post is great but the community lives in the comments. 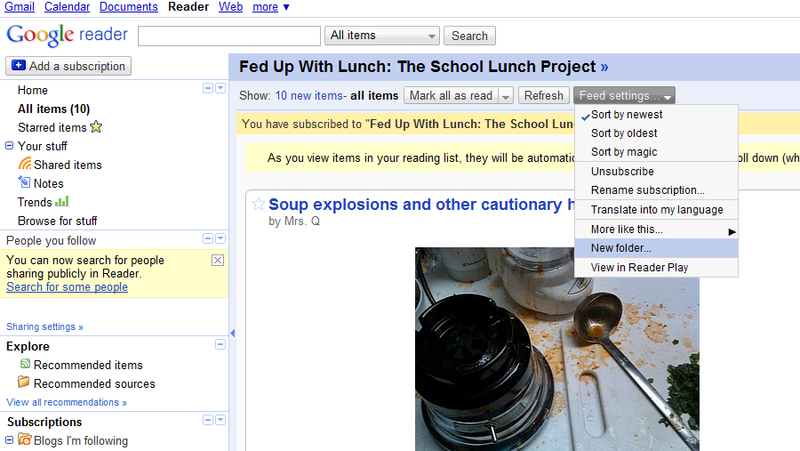 Using Google Reader is like having a super power, seriously. Once you add feeds from some sites you like and get in the habit of skimming them, you will become the in-the-know person in your circle of friends and co-workers. It is not possible to overstate the impact this could have on the quality of your work. You've heard of lifehacking? Finding the little tips and tricks and just make life easier and better? This is one you should do first. Just do it. It's not heard, it's not techie, you can't break anything. Again, YOU CAN'T BREAK ANYTHING.